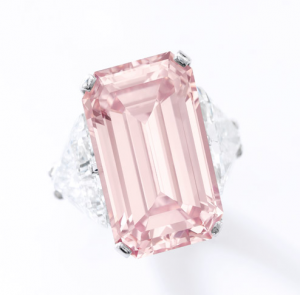 It was not a surprise when Graff Diamonds announced its latest pink diamond acquisition in March 2019. 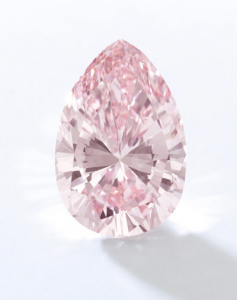 The company has recently acquired the 13.33 carat, Pink rough diamond at a Gem Diamonds tender in Antwerp on March 14, 2019. On that day, Gem Diamonds did not announce who the buyer was when it sold the 13.33 carat rough pink for an all time record per carat price of $656,441 (a total of $8,750,360), for any Lesotho diamond. 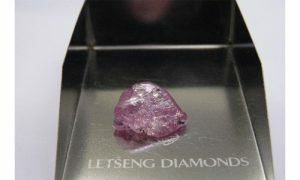 Naturally it was renamed “Graff Lesotho Pink” diamond, which is also proudly presented on Graff’s website. According to Graff, the color depth of the pink rough is exceptional and is one of the rarest pinks ever seen by Laurence Graff himself. The next interesting chapter would be to wait and see what it is polished to in terms of shape and clarity. I am not mentioning the final color, as it will definitely be a Fancy Vivid Pink. I would also not want to try and guess what shape it will be or clarity, but knowing Graff’s history of perfection, it will be nothing less than perfect. 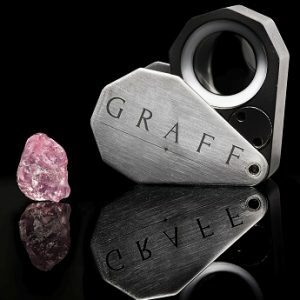 Graff has made some very impressive acquisitions in pink diamonds over the years, and we are here to present some of them. 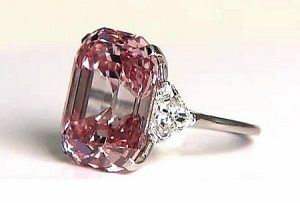 On November 16, 2010, at a Sotheby’s auction in Geneva, Laurence Graff acquired the 24.78 carat, Fancy Intense Pink diamond for a then record of $46.16 million. It had a VVS2 clarity, but it was mentioned that it had the potential of having Internally Flawless clarity after re-polishing. Graff did proceed with the re-polishing, and ended up with a 23.88 carat, Fancy Vivid Pink and Internally Flawless clarity. It took almost seven years for that record to be broken. It did, when the 59.6 carat, Fancy Vivid Pink diamond “Pink Star” was sold on April 4, 2017 at a hong Kong Sotheby’s auction for $71.2 million. It was Chow Tai Fook who made the famous acquisition. 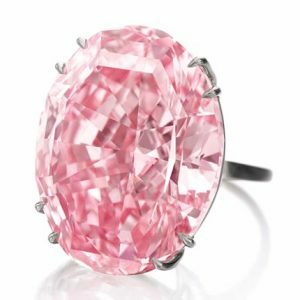 Graff’s most recent pink diamonds acquisitions known are the 17.07 carat, Fancy Intense Pink with VVS1 clarity made on November 17, 2016 at Sotheby’s Geneva auction. Graff paid $20.78 million for it. Graff later on re-polished it to a 16.88 carat, Fancy Intense Pink diamond with Internally Flawless clarity. That weight has some very important significance in chinese numerology. That same night, Graff proceeded to acquire the 13.20 carat, Pear shape, Fancy Intense Pink diamond with Internally Flawless clarity. There was nothing else to do with this diamond other than to re-polish it into a Fancy Vivid Pink Diamond, and Graff did just that, and finished the diamond with a weight of 12.02 carat, Fancy Vivid Pink. Now that Graff acquired the 13.33 carat diamond, we must wait for him to polish it. It will most likely be a Fancy Vivid Pink diamond. Knowing Graff, he would want perfection and nothing less than an Internally Flawless clarity will be accepted. What will the final weight be? Anybody wants to guess? I would guess that it will be 7-9 carat in size. Based on the acquisition price, I would say that Graff has already made money before he even actually had to pay for it. One of the most important aspects here is provenance. We know what it means to the public and for investors. We also know what the last significant diamond was sold knowing the provenance. It was the 12.03 carat, Fancy Vivid Blue, Internally Flawless, diamond which was sold for a record $48.47 million (just above $4 million per carat), in 2015. 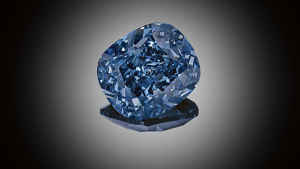 Since then, no blue diamond sold for above $4 million per carat. That diamond was mined from the famous Cullinan mine in South Africa. What Has Gone Wrong During The Sotheby’s Hong Kong Magnificent Jewels and Jadeite Auction?